Dundee University Ladies Hockey Club (DULHC) has something to offer for players of all abilities. We are an inclusive, friendly and fun club as well as having a competitive side. 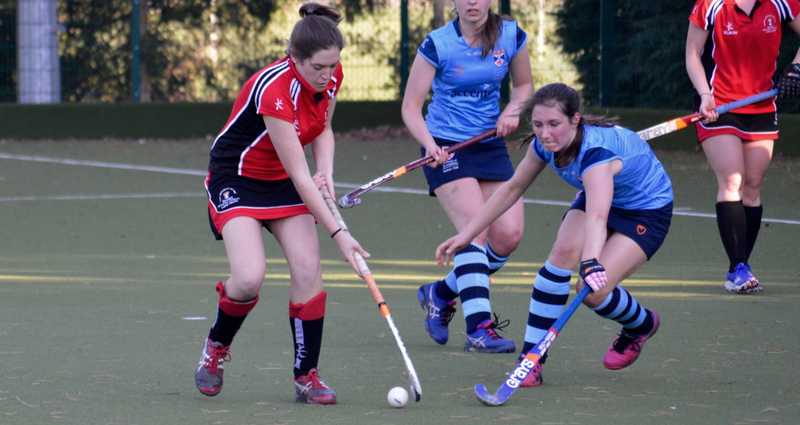 We have four teams which all compete in a BUCS and a Scottish Hockey league. Games allow you to travel, improve your hockey and really get to know your team. Our current members range from absolute beginners to exceptional national/district players and we are always looking for more to join in! Everyone will find a team that suits their level of play and can start making some DULHC memories! Training is twice a week and team-specific with each session delivered by one of our three coaches. Its a great opportunity to let off some steam after uni, get fit and bring on your skills! We offer just as much off the pitch as we do on it. We take great pride in our renowned social scene. We regularly have themed nights and joint socials with other clubs. Chilling out and fuelling up is also top of our priorities and we love team “Bring a Dish” nights and a good old Bake sale.